Ocean Shores is all about the beach, and the Sea Forever condo located within Maris Stella is right in the heart of Ocean Shores. If you're looking for a 5 star hotel, then this place won't be for you. However, if you're looking for a charming, quaint condo that's surrounded by endless fun then this might be for you! 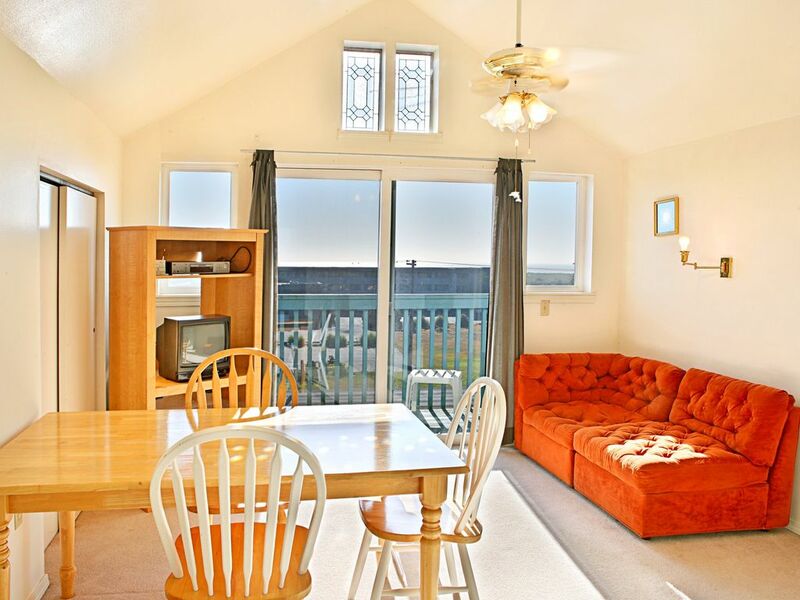 The Sea Forever Condo is cozy, clean and charming, awaiting anyone who's interested in the those three C's! We love this comfortable condo because it allows for an escape from the hustle and bustle of the real world! Although it's nothing 5 star fancy, it's cozy enough to enjoy the simplicity that the coast has to offer. Bring up to four people, but note that two of you might be crashing on the couches! There is one queen sized bed in this unit! After a long day out under the sun, you might not feel up to going to town for dinner. Instead, cook up a meal in the full kitchen or relax on the comfy furniture.